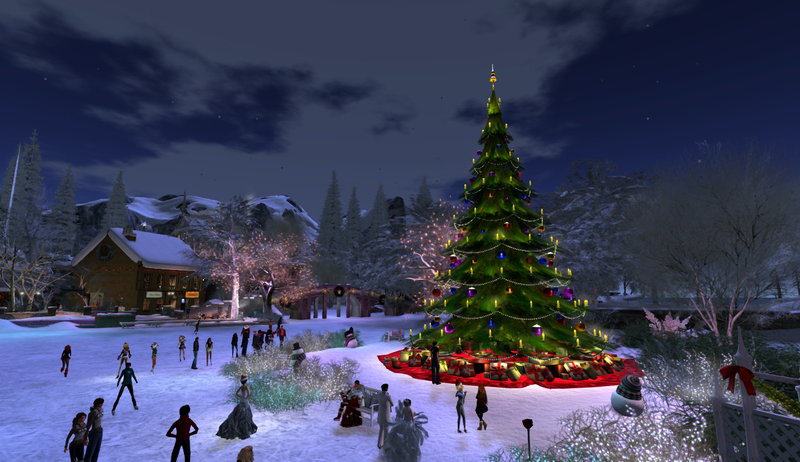 Only three more days till White Christmas & Calas Galadhon Park closes! The tree lighting at Calas was so much fun with a wonderful crowd that made it a night full of fun, friends and family – the Calas community. Just a reminder that there are only three more days to enjoy winter at Calas Galadhon Park. The 12 sim park, both the sims in winter and those in eternal summer, will close for renovations for the month of January. Calas will keep you advised on the progress throughout January and will reopen in early February. “White Christmas,” the 2015 Christmas holiday build, will also close on December 31, 2015. Many thanks for all your support, Merry Christmas and Happy New Year! This entry was posted in Uncategorized and tagged Best in Second Life, Best of Second Life, Calas Galadhon Park, Christmas, Live Music in Second Life, Live Music in SL, Second Life, SL, Virtual Reality, Virtual world by Romie Vella. Bookmark the permalink.